I first saw this plant during our recent vacation. The purple flowers looked like miniature pineapples. I was totally clueless what it was. Even though I was curious, some how I didn't make an attempt to find out the name of the plant. 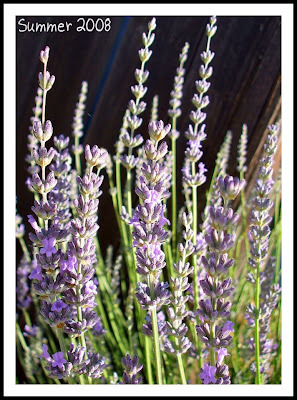 It was only a few days later, while browsing a gardening book on growing herbs, that I learned that it's actually a type of lavender. Since the book is written in Chinese, I couldn't figure out the name in English. Until I saw several pots of these plants on the flower stands outside a local supermarket...the tags say "Spanish Lavenders". On several occasions, I have noticed these shrubs with long green stalks with small purplish flowers on them. It was only during this trip that I realised they are actually lavenders. I can't tell which species it belongs to...but the flowers do look like those common lavenders or also known as the English lavenders. I was given a packet of dried lavenders, among several other goodies, from my friend VB. It was really very kind and thoughtful of her as I vaguely remembered I have mentioned that these are not easily available here. At least for me, I would have to make a special trip just to get them. 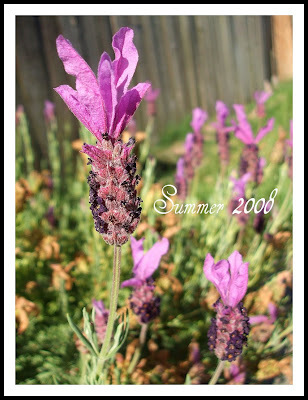 It was almost a year ago since I first saw Mandy's Lavender Sables. Even though I have received the dried lavenders a few months back, I only managed to use them to make a batch of cookies this week. I guess I didn't measure the amount of flour correctly...the cookie dough was rather sticky and wet. I managed to shape it into logs and left them to chill over night. When I was ready to bake them, I simply couldn't slice the dough into nice rounds...it kept tearing apart the minute I lift up the knife. It got worst when the dough slowly came back to room temperature. After struggling for a while, I gave up and gathered the messy doughs into a round disc...roll it out between two sheets of baking paper and pop it into the freezer. Half an hour later, I took out the dough and used a cutter to stamp out small heart-shaped cookie doughs. Even then, I had to work very fast, as the dough gets softer and softer as the clock ticks away. Sift flour and cornstarch, set aside. With an electric mixer, beat butter on medium speed until smooth, add icing sugar and beat until well blended. Beat in the egg yolk, followed by salt, dried lavender and lemon zest. Add the flour mixture and blend with a spatula. Mix just until flour is incorporated. Gather dough to form a ball, divide in half and wrap each piece in plastic wrap. Chill dough for 30 minutes in refrigerator. When ready to bake, preheat oven to 170 degC. Once the oven is ready, slice the log into 1/4" thick and place on a lined baking sheet with 1/2" interval. Bake for 12-14 minutes or until the cookies are set but not brown. Transfer to wire rack and let cool completely. these look so lovely! but it sounds so difficult to made. I am so tempted to make it for my husband. We were at Nice, France recently and apparently lavender is the provence local produce. I bought some lavender sachets back but I am not sure whether I can used that for cooking cos they seem more like for decorative purposes. May I ask how do you add the tagline on the photo? Do you use a special software? Thanks in advance. Your heart cookies are adorable and your pictures are beautiful! I love lavender so I'll have to try this recipe. Hi 4MalMal, these cookies are supposed to be easy...it's just that I could have made a mistake in the measurement of the flour amount. I don't think those lavender sachets you bought are suitable for cooking...you have to make sure that they are meant for culinary use. Charming, I used the online photo editing tool within the Flickr site to add in the text in the photo. I have got to try these! Those cookies look lovely, HHB! Like you, I too had my apprehensions about that soapy taste with lavender bakes. Glad to hear that it's not the case! I might just grab me some lavender then! i got dried lavender from a shop called Bee's Brand, they have branches at chinatown and toa payoh. u'll be able to find other flowers, such as roses and osmanthus. try calling 63235398 and ask them where are the various branches. I've bookmarked this recipe too since the day I saw Mandy's post! Just wondering is there any difference if I used those lavenders from medical hall where they sell dried lavenders for making flower tea? Hi Yuri, thanks for the info! Aimei, I am not sure whether those you bought are suitable for baking? Maybe you can check with the sales staff the medical hall? So beautiful! I have yet to try cooking with Lavender. Maybe I will give it a go! The dough for sable is supposed to be sticky and wet - like Playdo. It's usually suggested to roll the dough into a log in between plastic wrap and refrigerate the dough for at least 3 hours before actually cutting them into disks. You definitely had the right idea and have experience in baking. Your lavender sables look lovely! These are so pretty. 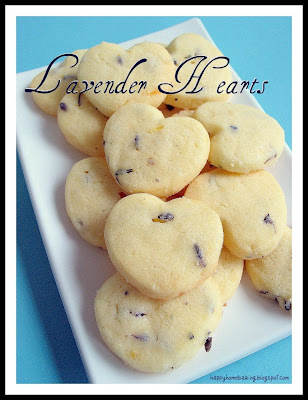 I love lavender cookies, I can't wait to try these. hi happy homebaker,can i check with you if i need to leave the dough overnight?i dont really understand step 6 and 7 about forming the log into the various dimensions. could u pls explain? and how do i get zest lemon? Hi Grace, it is not necessary to leave the cookie dough over night, however, you have to leave it in the fridge for at least 2 hrs, otherwise it will be kind of difficult to slice it neatly as the dough will be too soft to handle. For step 6, you will need to roll and shape the dough into a long cylindrical shape (like a long rod)with a diameter of about 1 to 1 & 1/4 inches (or about 2.5 ~ 3cm in diameter). Then wrap it in cling wrap and leave to chill in the fridge. For step 7, slice the chilled dough with a sharp knife into round disc about 1/4" in thickness (or about 5mm) each. You get lemon zest by grating the skin of the lemon, just the yellow part and avoid the white pith which is bitter. I hope I have clarified your doubts, do let me know if you have further questions. 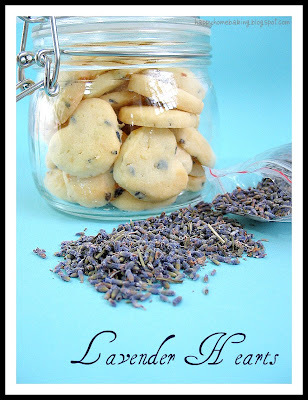 The cookies look luvly, am not sure whether I can get dried lavender here in malaysia, if I do, surely will try out this recipe. I have tried this recipe and it's great. I love Lavender !! 1. my cookie turns out to be a little bit too crumblie (don't know how to describe this), it will fall apart very easily. What have i done wrong. Any suggestion ? 2. How do you make it a heart shape cookie ? 1. there are a few reasons...it could be due to measurement of the ingredients...did you get the amount of flour and fat correct? If yes, then it could be due to over baking, or your cookies may have dried out (you can keep them in air-tight containers). 2. As mentioned in my post, I used heart-shaped cookie cutters to cut out the dough. Jessie Tan, it is about 200g. Hi water5melon2, maybe you can just omit the lemon zest and lavender? I wanted to thank you so much for this recipe. I have tried others and they turn out too "soapy" tasting. I ran across this one last night in an attempt to make my grandmother lavender cookies. I had to add more flour, and used them as drop cookies instead of forming them after refrigerating them (just because I am lazy). They were amazing, and even my hubby loved them,and he usually runs from anything other than peanut butter cookies. i'm very new to baking.. but i love lavender so would like to try out this recipe.. wat's zest from one lemon?? sorry and thanks!! hi happyhomebaker! i've been meaning to try this recipe since i saw it on your blog a few weeks back. i finally gave it a go last week and they turned out really well.. my friend commented that it made my room smell really nice too while they were baking away in the oven. heh :) brought them to share at a meeting and there were no leftovers! thanks for sharing a great recipe! How long can these cookies be kept after baking? Did you slice first then use heart shape cookie cutter or did you roll the dough flat and cookie cut them ? Hi, I have mentioned how I went about cutting out the cookie doughs in the blog post, pls refer para 5. Hope this helps. Hi! How many grams is the one cup equivalent to? Thanks! 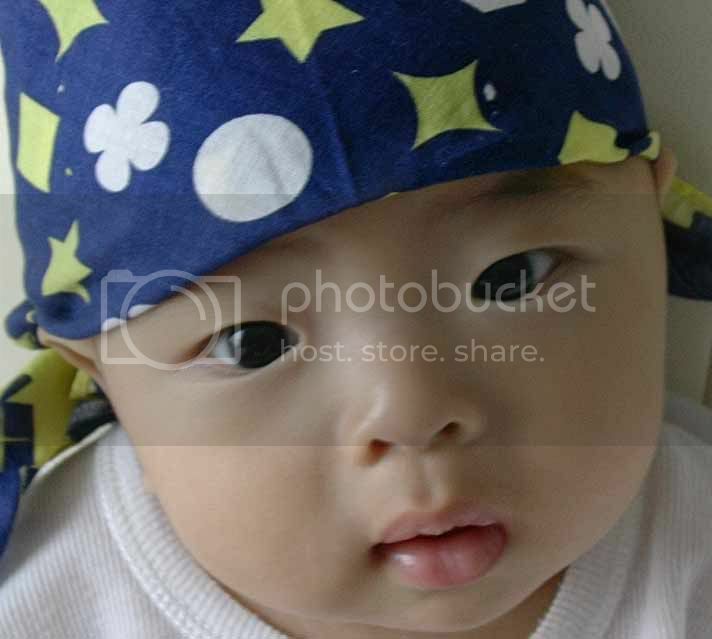 Hi, for plain flour, I used this conversion rate: 1 cup is 125g. Hi! Please, how did you do the heart shape? By cutting the logs you get disks. You further proceeded in shaping with a heart shaped cutter? I'd love to do these cookies, only without lavender. I am not a fan of it, even in cosmetics.